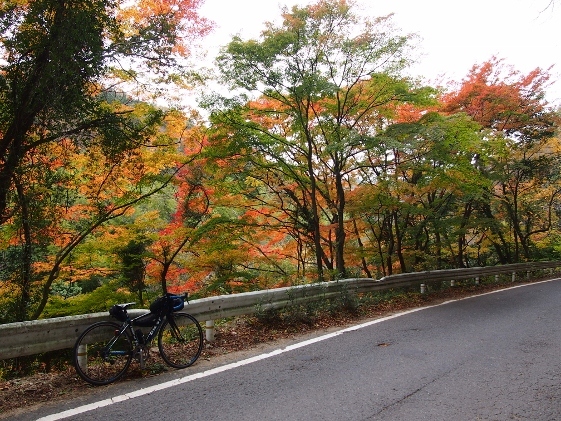 Today, I left Iwaki-Yumoto Hot Spring and pedaled to Tamura City which was located in the east of Hamadori thus it is one of round routes for north. The main routes were Route 41 and 19 both of which are Pref. Road. 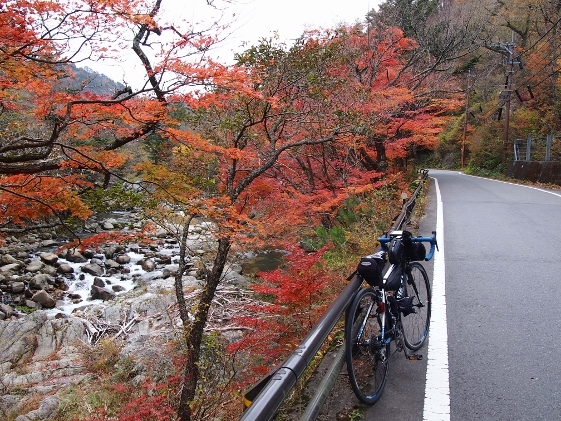 Although there were other choices such as Route 49 or Route 66, I chose this route which seemed to be easier to climb by bike. 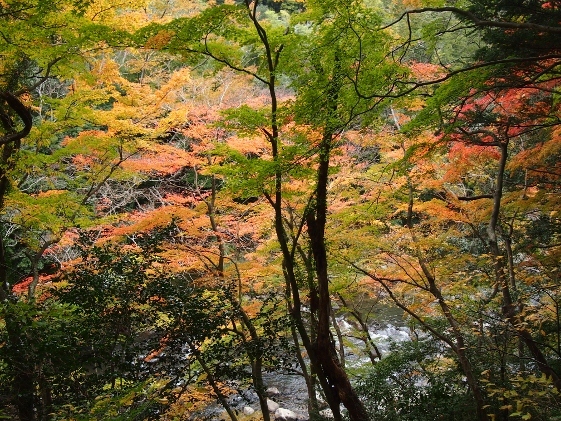 There was Natsuigawa Valley which was famous for its autumn color along the Route 41. 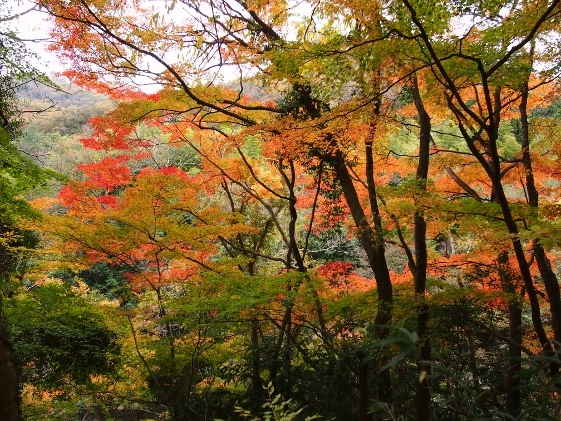 Since the autumn color was in its best I took four pictures as shown above. 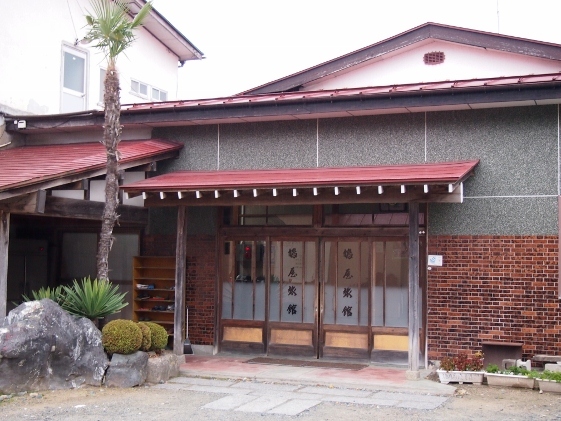 Today I stayed at Hatoya Inn as shown in the picture above located in the Ogoemachi of Tamura City. 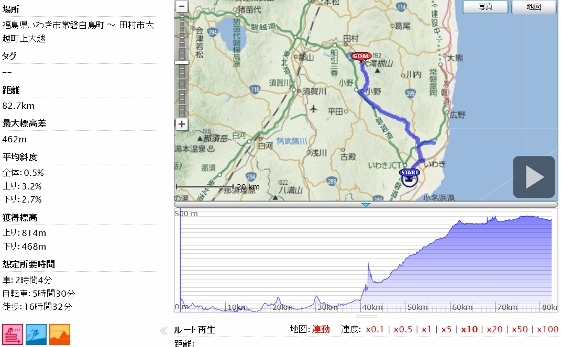 Since Irimizu and Abukuma Limestone Caves are located nearby, I am planning to visit them tomorrow.